Mar. 11, 2010 Tags: Sarita's Word. I read this article and wanted to share it with you: 2010 Catalog Goes to Print! 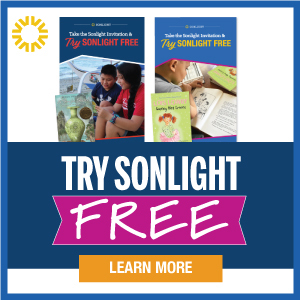 https://blog.sonlight.com/2010-catalog-goes-to-print.html. 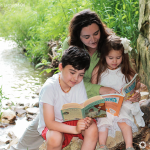 Have you seen these snapshots of the new catalog? My daughter is always complaining about having to go to the mailbox the minute the mail comes. My husband thinks it is a hoot that I'm always talking about how the catalog has gotten to so and so and why haven't I received mine yet! So just what did it take to produce the 2010 catalog? Well, if it's any indication, the project coordinator took a few days off when it was all done. She needed time to regroup! We start with last year's catalog. First, we review the critical feedback Sonlighters gave us about last year's catalog. We listen to it all and often tweak the new catalog accordingly. Linda enthusiastically kicks off and leads the catalog process. A creative team helps John and me step back and brainstorm any big picture changes we'd like to see in the new catalog. Lots of Sonlighters join in the creative process by providing photos, captions and quotes. After all, who wants a catalog without tons of great pictures and comments? We take great delight in all the wonderful submissions. 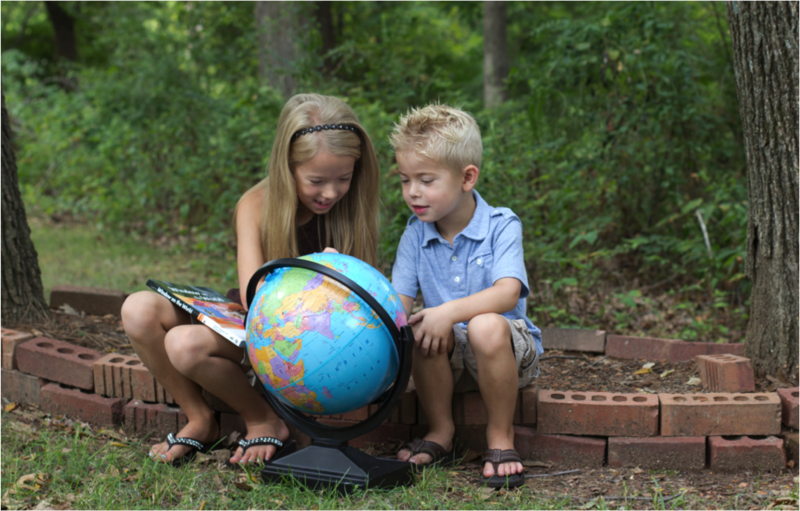 We evaluate the current articles in the catalog and freshen them up. We might add new articles, remove old ones, completely re-work some, and leave some in their tried and true form. Anne Marie takes her editing very seriously. 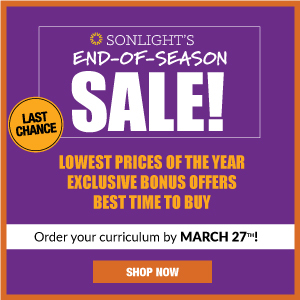 Does this catalog communicate what Sonlight is all about? Are the graphic updates aesthetically pleasing? Do they make the catalog easier to understand? Is the written and graphical content clear? Is everything organized logically and does it flow well? Tim and Dave ponder the deep questions of catalog flow. A few dedicated staff members comb through to check all prices, ensure the accuracy of page number references, test all the URLs listed and proofread. Christiane examines some text ... very closely. Then finally, after months of work, we're at the stage you can see here. With proofs spread all over the conference room, we pore over everything again. Then we revise one more time, double-check new proofs, and finally ... give the go-ahead to print. And that's where the real fun starts, because the 2010 catalog will soon reach your mailbox! 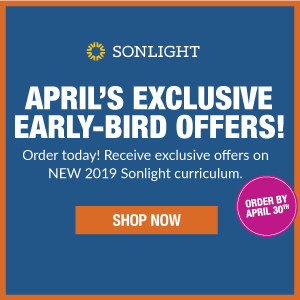 As you plan your upcoming year and dream about wonderful new books, Instructor's Guides and curriculum resources, don't hesitate to call one of our experienced Sonlight Homeschool Advisors. Your advisor, a Sonlight mom with years of experience, can answer your questions and help you meet your family's unique needs. 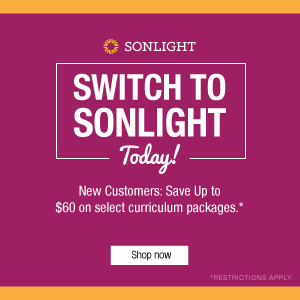 If you have questions even now, please don't hesitate to go to www.sonlight.com/SCA, even now before you've received your new catalog. *We're working to give Core and Heirloom Sonlighters Club Members a special online sneak peek of the catalog before April 1!